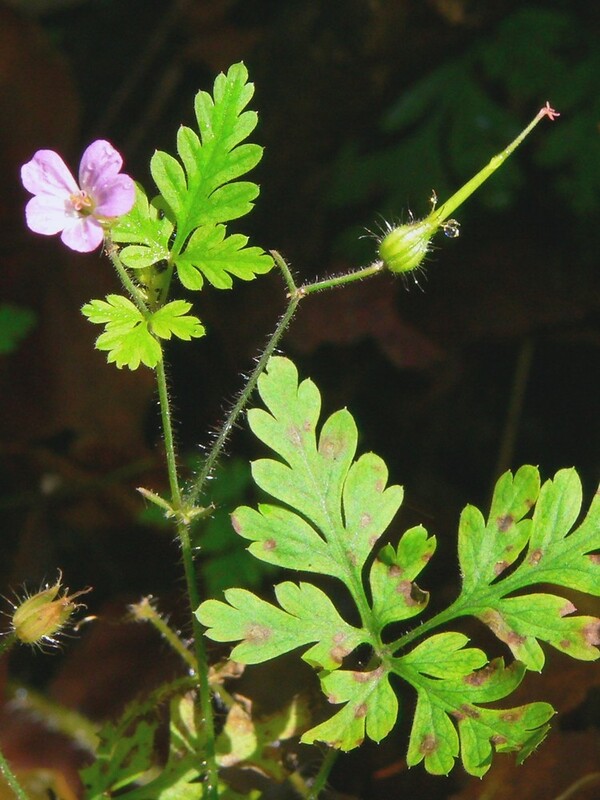 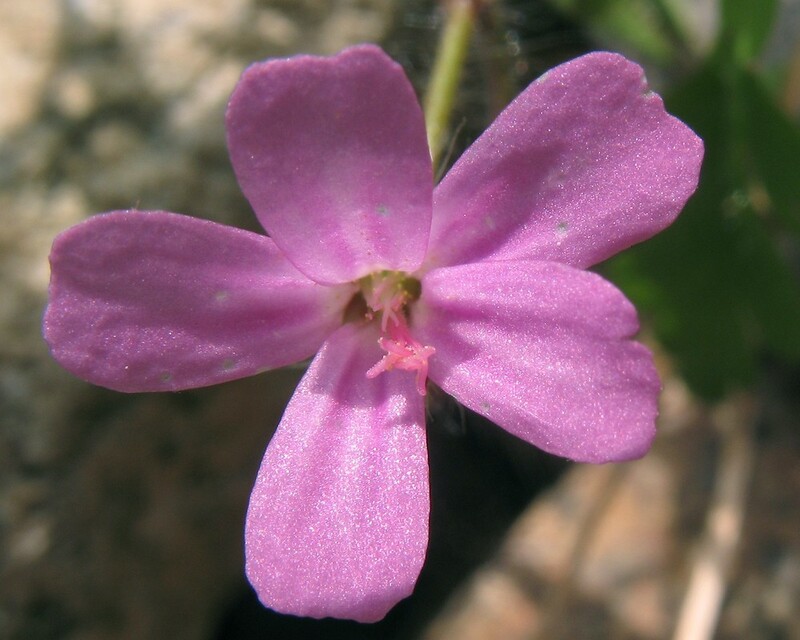 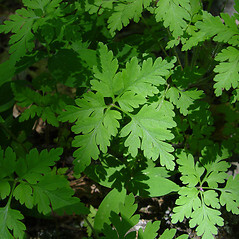 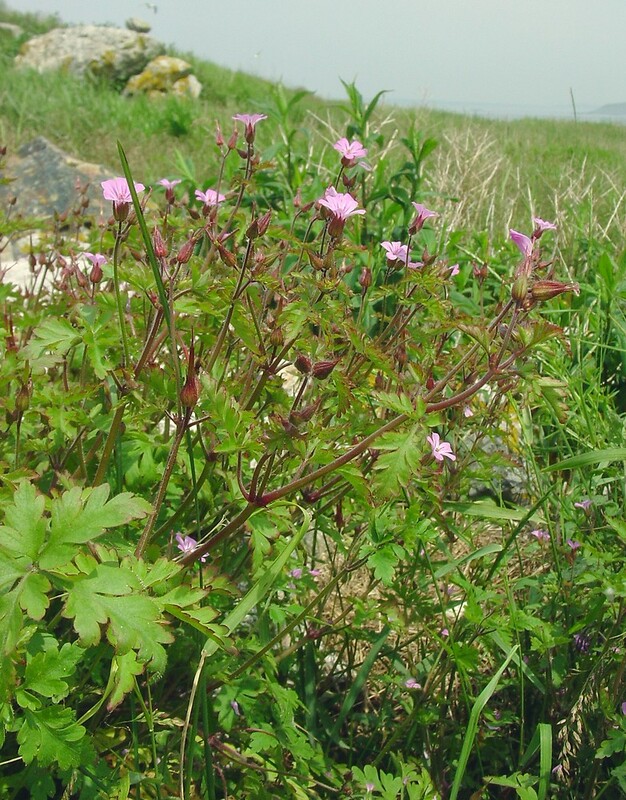 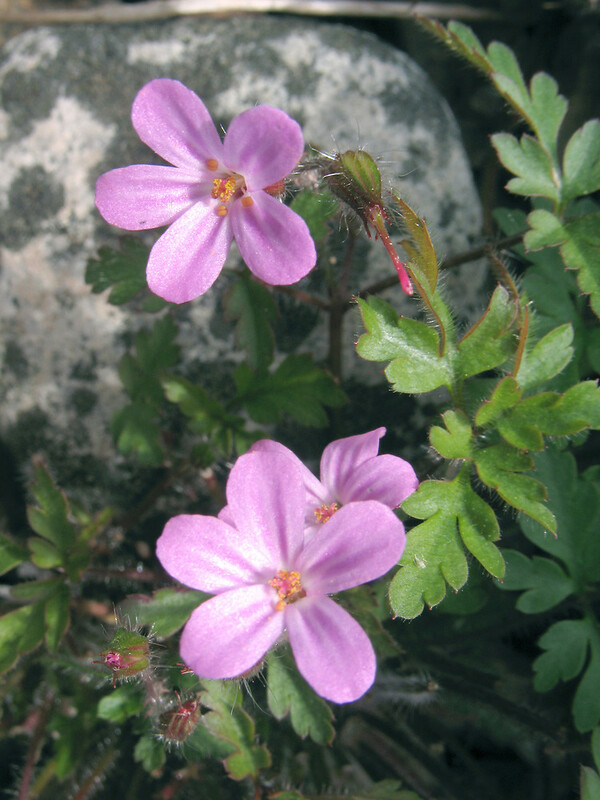 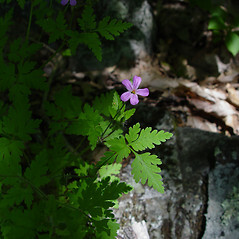 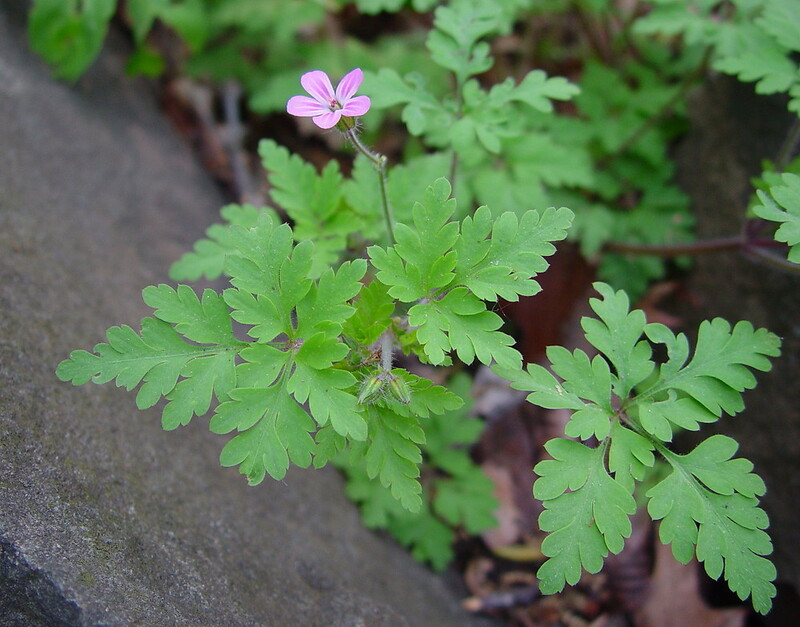 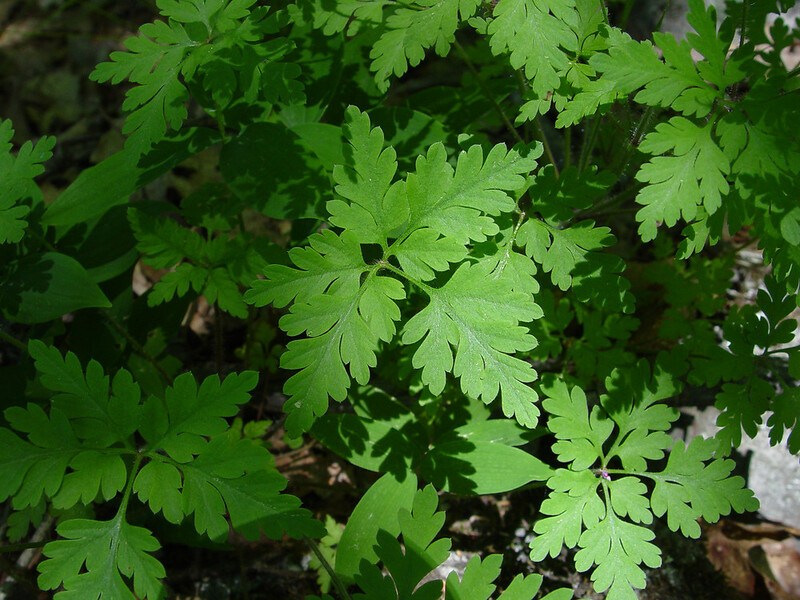 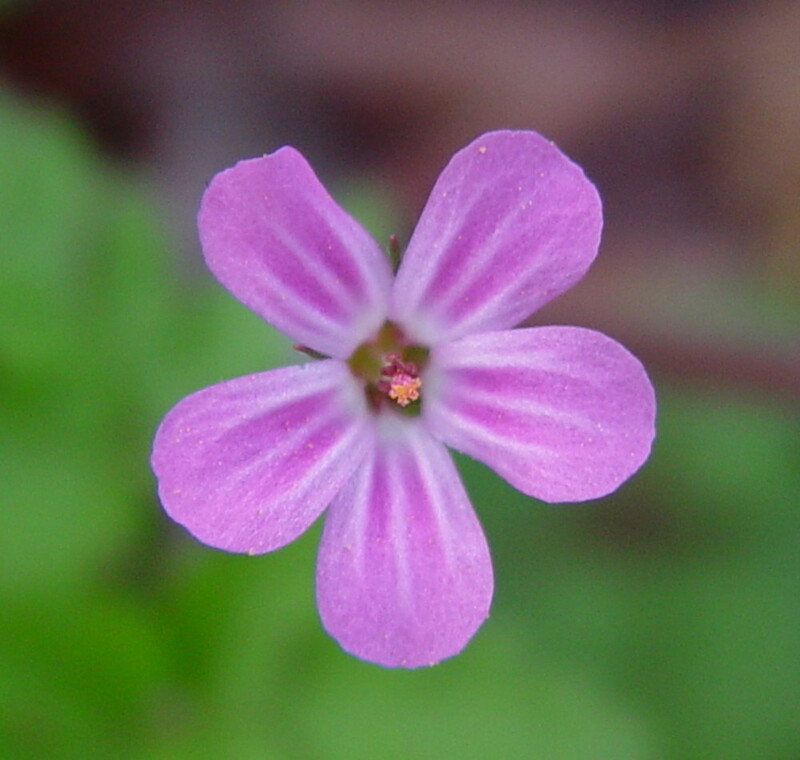 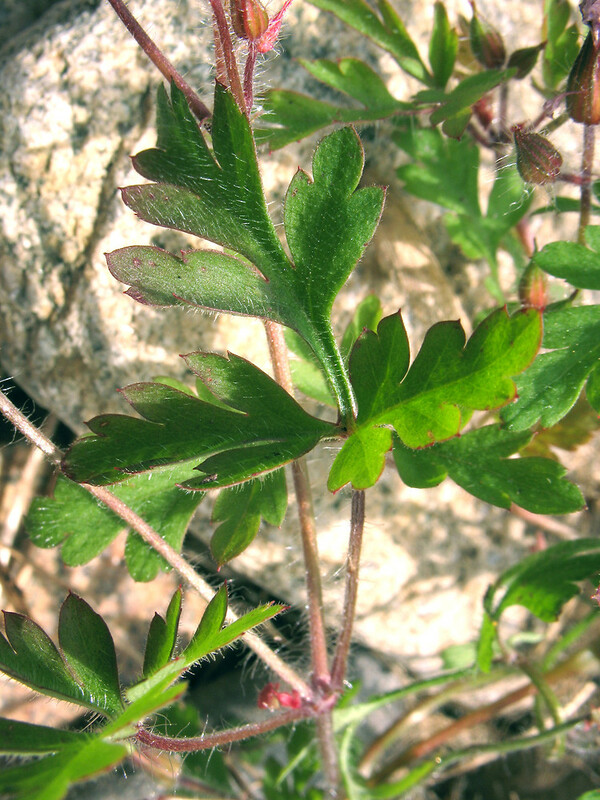 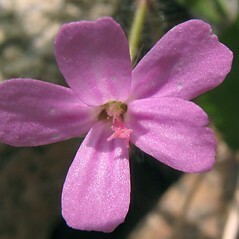 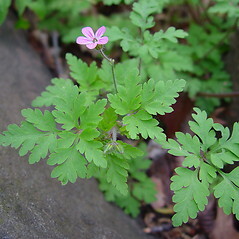 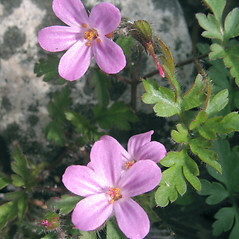 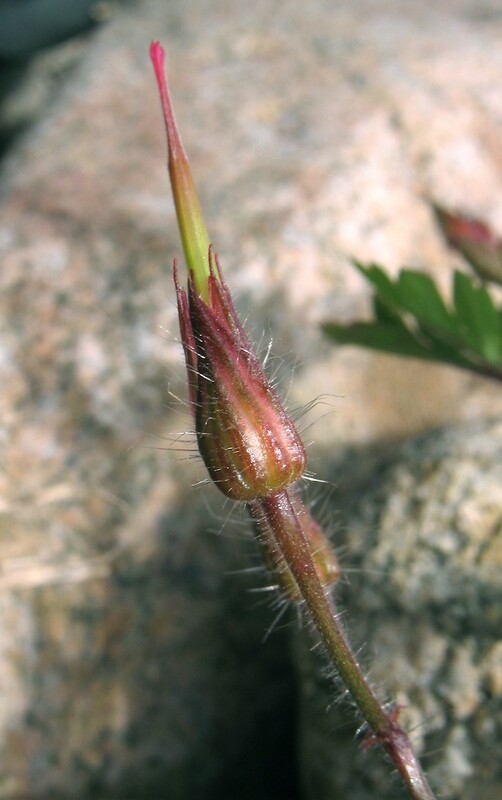 Herb-Robert is a native geranium that may have been named after Saint Robert of Molesme, an herbalist, or after the notorious Robert Goodfellow, also known as Robin Hood. 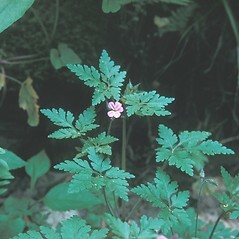 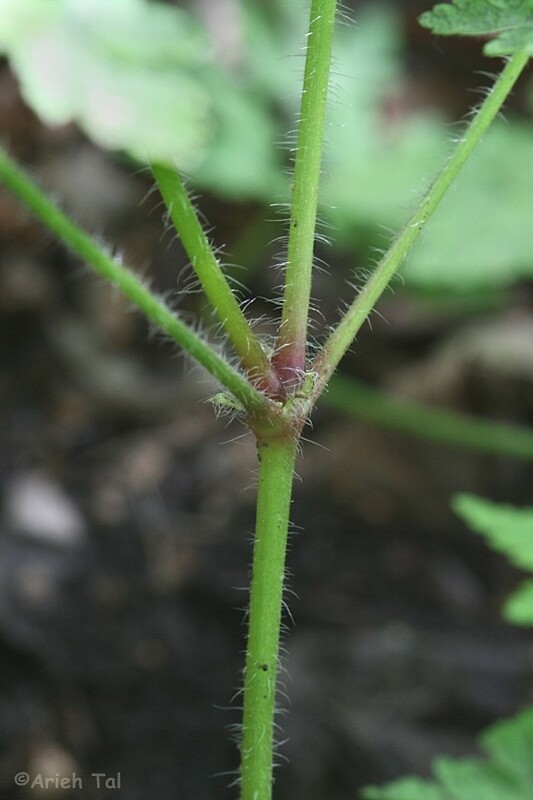 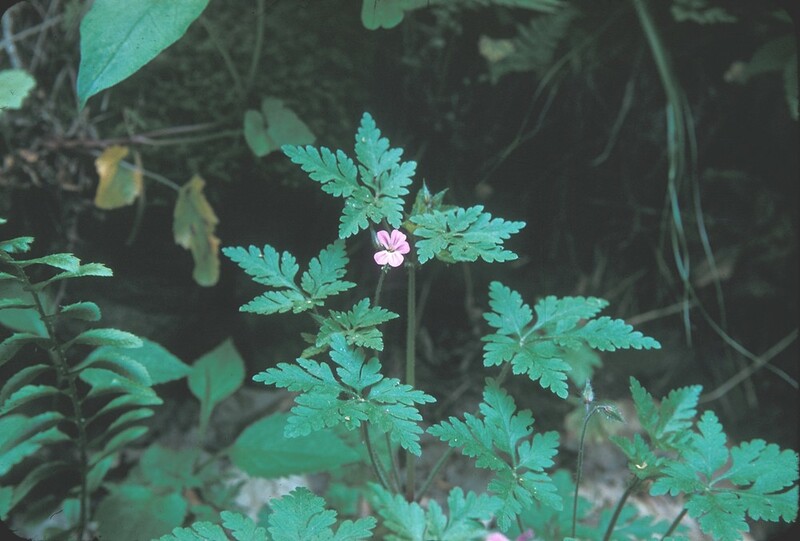 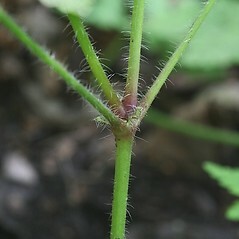 Look for delicate, pink flowers borne on stalks above highly dissected leaves; this plant typically grows in the shade of the forest floor. 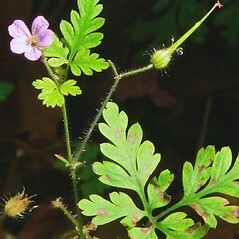 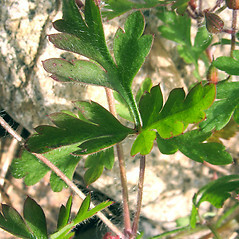 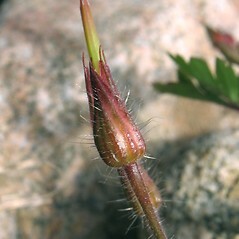 leaf blades pinnately divided, petals 5-8 mm long, and fruits proper separating from the central column of the flower from the top downward (vs. G. robertianum, with leaf blades palmately divided, petals 9-13 mm long, and fruits proper separating from the central column of the flower from the bottom upward). 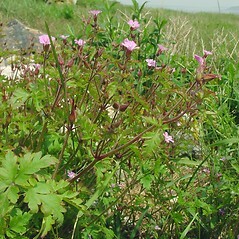 mountain crane’s-bill. 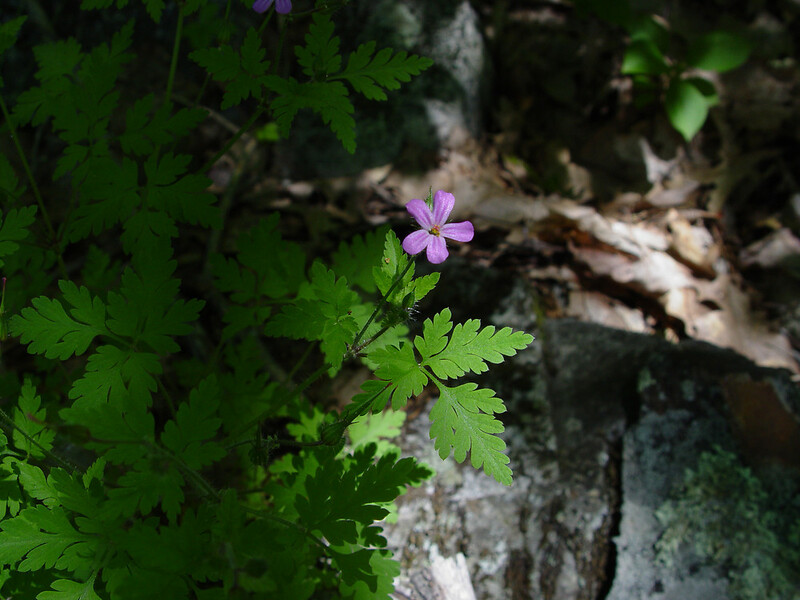 Robertiella robertiana (L.) Hanks • CT, MA, ME, NH, RI, VT. Rocky forests, talus slopes, trail edges, ledges, coastal beaches and headlands.